Originally from the planet K-Shazor, Brain Emperor’s brain was modified to be hyper-efficient. These modifications, along with the Brain Emperor’s own mutations, gave him vast mental powers which he used to become ruler of his world. After being overthrown by his own people, he fled his planet and set his sights on Earth. 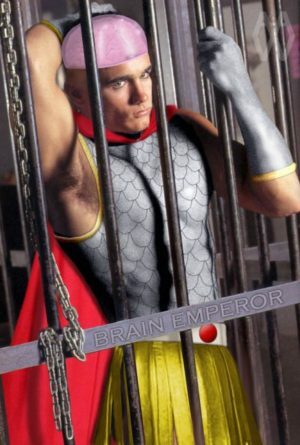 The Brain Emperor’s mind grants him unparalleled psychic powers, including telepathy, hypnosis, teleportation, emphatic projections, and psychokinesis.